We Love RV'ing: We love RV'ing but Kamloops, B.C., Canada is home for us. We love RV'ing but Kamloops, B.C., Canada is home for us. Kamloops, B.C., Canada is home for us and as much as we love rv’ing in other parts of this wonderful country, we do have much to enjoy in our corner of the world when we are home. The name of Kamloops was taken from the First Nations word T’Kumlups meaning ‘meeting place’. Mt. Paul and Mt. Peter stand proudly at the meeting of the North and South Thompson Rivers on the land of the Secwepemc nation, with the Yellowhead Highway passing by. Not only is Kamloops, B.C. a meeting place for the rivers, but also for four major highways. The Trans Canada Hwy #1 passes east and west thru town, Highway 5 North is the Yellowhead, Hwy 5 South covers the Coquihalla and Hwy 97. Peterson Creek Nature Park covers 423 H. (1045 acres) in the center of Kamloops, B.C. where there are panoramic views from higher elevations, 30 km (18 mi.) of gentle nature trails meander thru the park. A lot of winter days can be dull and dreary but we have had some beautiful days with sunshine and blue skies this winter. What a perfect time to go out to take some pictures of this beautiful city we live in. Kamloops, B.C., has a population of 84,064 but from many viewpoints of the city, it looks like a rural setting, especially with all the snow covering. We have the best of both worlds, rural and city living with all the great things that come with that. View from Highway 1 bypass of Kamloops, B.C. The highway passes over Peterson Creek where this picture was taken as we drove up the hill. Sometimes it is a good idea to ‘play tourist’ at home. We can look at all the things we see every day and take for granted, to see them in a different light. This was a perfect time to do that, and the views with snow covered hills surrounding Kamloops, B.C., was spectacular. There are so many activities to enjoy any time of the year in Kamloops, B.C. and we’ve enjoyed most of them. The snow definitely brings some great winter sports and makes a great way to spend your leisure time, whether it is downhill skiing, cross country skiing, snowmobiling or tubing at the local hills. Sun Peaks Resort is a world class ski mountain and Harper Mountain offers some great family skiing, as well. .
You'll find more about what Kamloops offers when you visit this link. 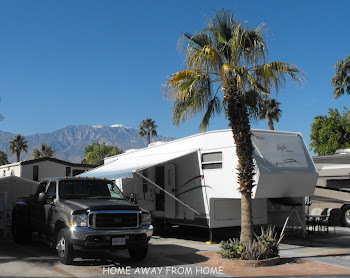 Kamloops, B.C., Canada does offer year round RV’ing with some local RV parks staying open through the winter, although there would be limited space available at this time of year. Winter RV’ing does offer some challenges but it definitely is not impossible and offers you opportunities to come and enjoy our wonderful winter wonderland. 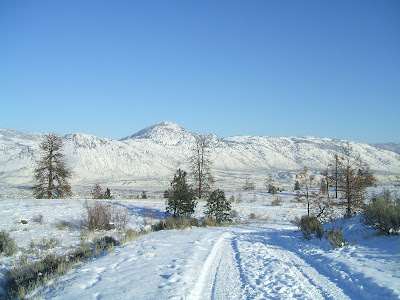 Read more about Kamloops all year round when you visit my other blog where I share the many wonderful places and events. Your pics of Kamloops are absolutely wonderful! 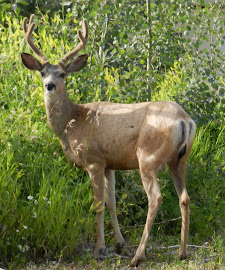 Do you have the names of any of the kamloops rv parks?